Revit 2018 software has several new Revit MEP features related to detailing LOD 400 elements to help you extend design to fabrication. Improve modeling productivity with greater accuracy and achieve the detail needed for fabrication, estimation, and installation of building services. The sloped model component interaction for fabrication elements has been improved in Revit 2018 by introducing part-by-part modeling for sloped pipes, and introducing the ability to apply slope to fabrication elements that have already been laid out. Building upon last year’s part-by-part placement of fabrication elements, you can now apply slope to a part as you place it in the model. As you continue to apply elements, you can specify a different slope for each branch. To make it easier, you can select a user-defined slope for the element, rather than having to enter a slope each time. Elements that are required to be horizontal will remain horizontal and elements that require slope will be sloped. Slope tools for MEP fabrication pipework are similar to slope tools for generic pipework parts. Many commands and workflows behave the same for both generic and fabrication sloped pipe. You no longer need to place an element and rotate it at the required angles before you can start sloping the pipe. Take a look at the sloped fabrication pipework feature overview video for more detail. Model sloped pipes part-by-part and apply slope to elements that have already been modeled. To learn how to apply slope to fabrication pipework, check out the help files on Autodesk Knowledge Network. Another improvement was detail modeling productivity in multi-point routing with MEP fabrication parts. The multi-point routing tool gives you the ability to create a run of connected MEP fabrication parts by clicking on points in the model, and more efficiently model ducts, pipes, and electrical containment elements. Part-by-part modeling for fabrication elements were introduced to meet the needs of the fabrication detailer, especially when they get into tight coordination scenarios. Detailers need the flexibility of the part-by-part modeling tools to accurately place components in the right location and in the right direction. 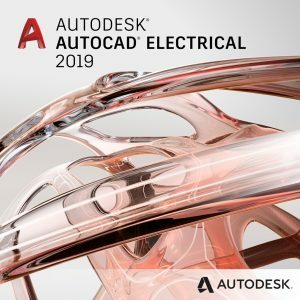 In addition, you now have the ability to model fabrication components like you would with the design level of detail elements within Revit, or similar to design line in Fabrication CADmep. Parts are automatically selected from the current fabrication service and grouped in the MEP fabrication parts palette. You can change the shape, size, elevation, and the type of fittings as you route the elements, like from a mitered elbow to a radius elbow. Take a look at the multi-point routing feature overview video. Model Revit MEP fabrication elements with multi-point routing by clicking on points in the Revit model. To learn how to use the multi-point routing tool, check out the help files or on Autodesk Knowledge Network. Revit is software for BIM. Its powerful tools let you use the intelligent model-based process to plan, design, construct, and manage buildings and infrastructure. Revit supports a multidiscipline design process for collaborative design. Model building components, analyze and simulate systems and structures, and iterate designs. Generate documentation from Revit models. Multiple project contributors can access centrally shared models. This results in better coordination, which helps reduce clashes and rework. With Revit work sharing, multiple team members can work on a project at the same time using a centrally shared model. One multidiscipline BIM platform – the software has features for all disciplines involved in a building project. When architects, engineers, and construction professionals work on one unified platform, the risk of data translation errors can be reduced and the design process can be more predictable. Interoperability – Revit helps you work with members of an extended project team. It imports, exports, and links your data with commonly used formats, including IFC, DWG™ and DGN. Whether you’re an architect; a mechanical, electrical, or plumbing (MEP) engineer; a structural engineer; or a construction professional, Revit offers BIM features specifically designed for you. Use the software to take an idea from conceptual design to construction documentation within a single software environment. Optimize building performance and create stunning visualizations. Design MEP building systems with greater accuracy and in better coordination with architectural and structural components, using the coordinated and consistent information inherent in the intelligent model. Evaluate the ability to build and design intent before construction begins. Gain a much better and clearer understanding of the means, methods, and materials, and how they all can come together. Extend Revit worksharing to project teams in almost any location with this service, which lets multiple users co-author models in the cloud. Increase communication, centralize efforts of distributed teams, and let entire teams take part in the BIM process.